NSC hosts various events (workshops, social party, lecture presentation) for you to attend and share your thoughts and suggestions with us! We host symposium focusing on the innovations of the technologies, strategy and utilization of Nano-Satellites. We open the floor for brainstorming about new utilization of Nano-Satellites between the people of the Nano-Satellite Center and people from various career paths. We explore the new Nano-Satellite utilization for regional industry growth. 2013.11.20　[Symposium] 5th Nano-Satellite Symposium in Tokyo, Japan. 2012.10.10　[Symposium] UN/Japan Workshop and 4th Nano-Satellite Symposium in Aichi,Japan. 2011.12.12　[Symposium] 3rd Nano-Satellite Symposium in Fukuoka, Japan. 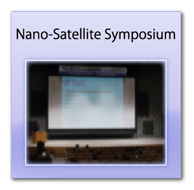 2011.03.14　[Symposium] 2nd Nano-Satellite Symposium in Tokyo, Japan. 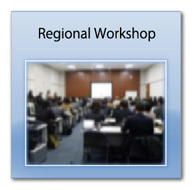 2010.11.16　[Regional Workshop] Workshop in Hamamatsu, Japan. 2010.10.25　[Regional Workshop] Workshop in Nagano, Japan. 2010.09.27　We participated in exhibition in IAC 2010. 2010.08.24　[Regional Workshop] Workshop in Hokkaido, Japan. 2010.08.03　[SBN] 2nd Space Business Night. 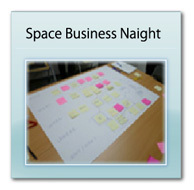 The guest speaker was the representative of Toriningen Inc.
2010.06.16　[SBN]1st Space Business Night.